​ hope and freedom locally and abroad. If you desire for me to speak at your next event, retreat, or community event, ﻿﻿ Connect With Me﻿﻿. The Sanctuary is a very unique place. It was birthed out of Pastor Yolanda in a time when all she felt was pain and she needed a place of refuge to gain real truth, wisdom and knowledge. And the same truth, wisdom, and knowledge that freed her is freely given in a very exceptional way. The Sanctuary meets in fellowship with other believers to worship in Spirit and in Truth in person and virtually. To join us virtually all you need is a phone, tablet, computer, or laptop to enter into our Virtual Tabernacle with Pastor Yolanda and the covenant partners every Sunday and Friday, or take time listen to a teaching from Pastor Yolanda. Click graphic for details. #SharingOurPrayers is an inspirational collaborative book that I co-authored with Shani McIlwain and 10 other authors. It is an empowering anthology grounded on a single theme: the power of prayer. We each share intimate conversations we have had and continue to have with God as we overcome enormous obstacles, confess wrongdoings done by and unto us while claiming well-deserved victories. 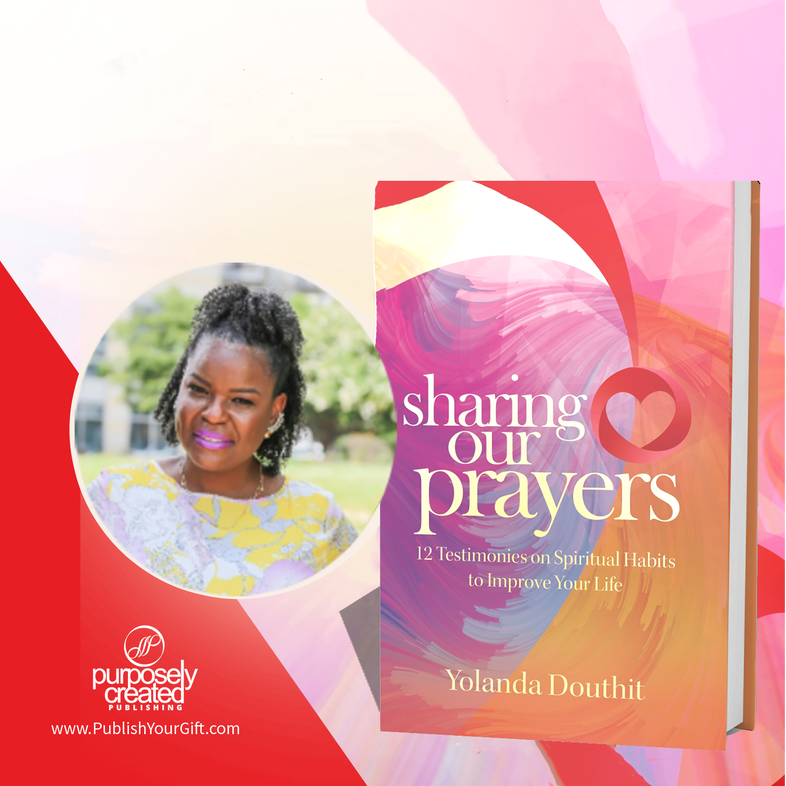 Learn more about my journey in #SharingOurPrayers at http://bit.ly/shareourprayers and order your copy.